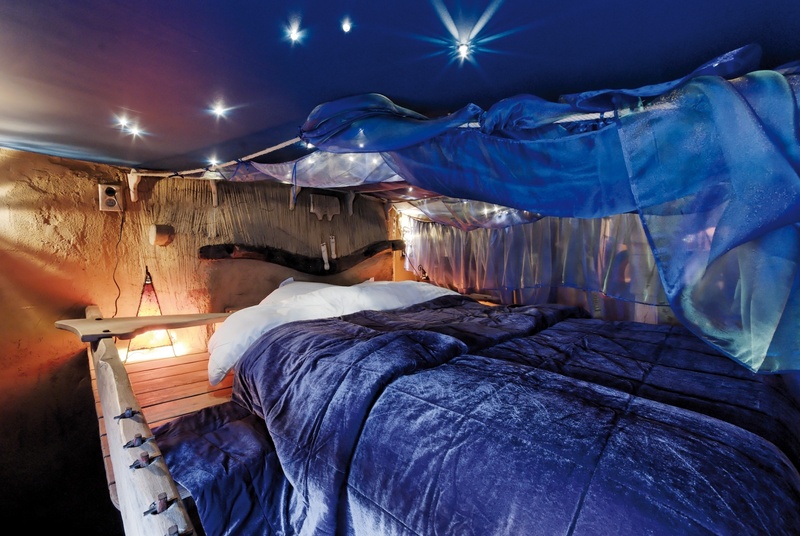 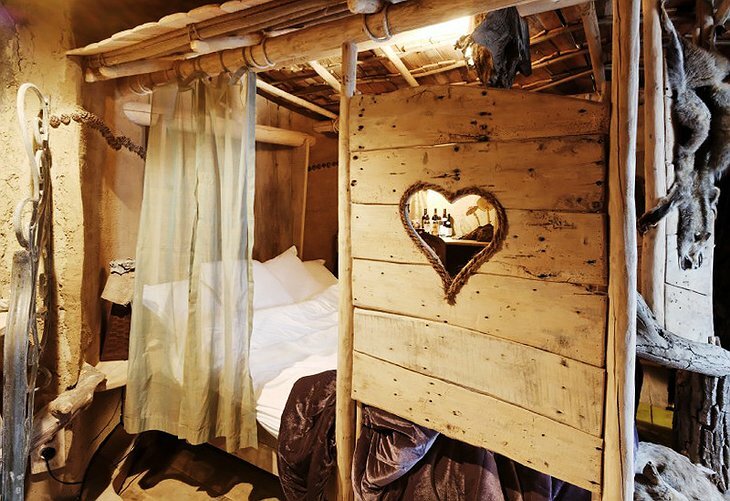 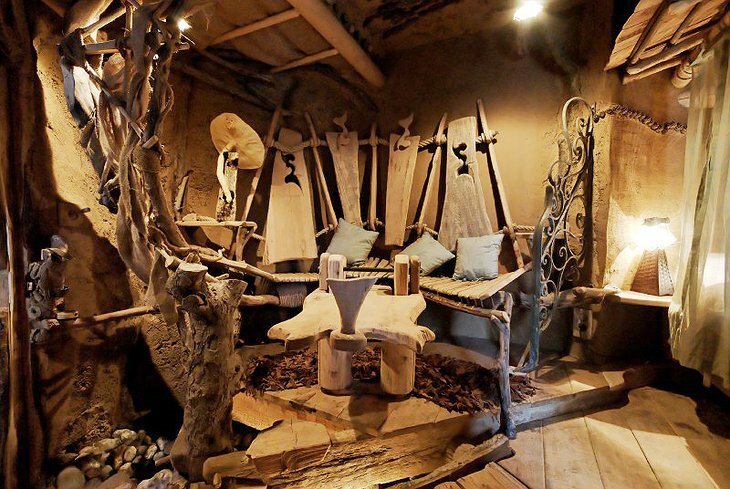 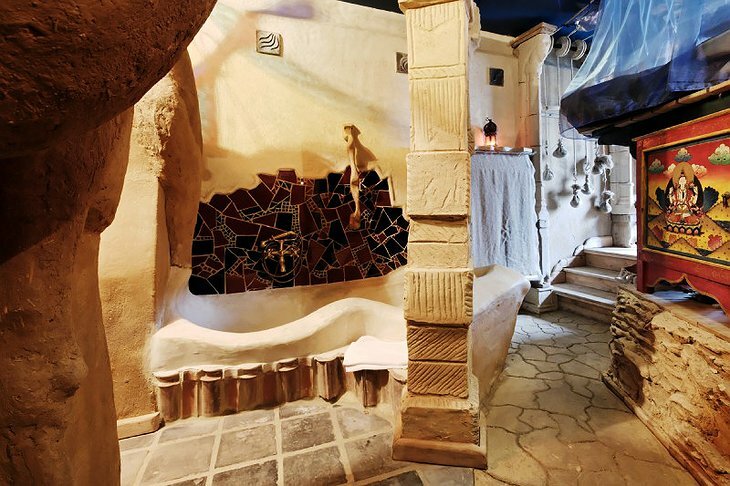 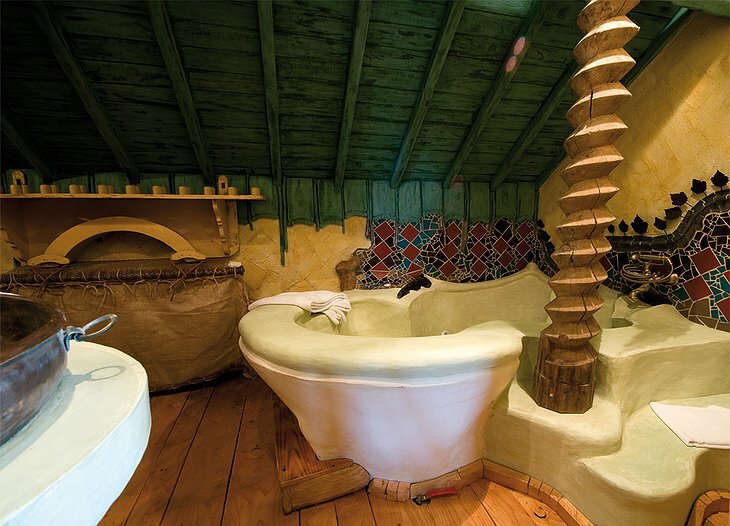 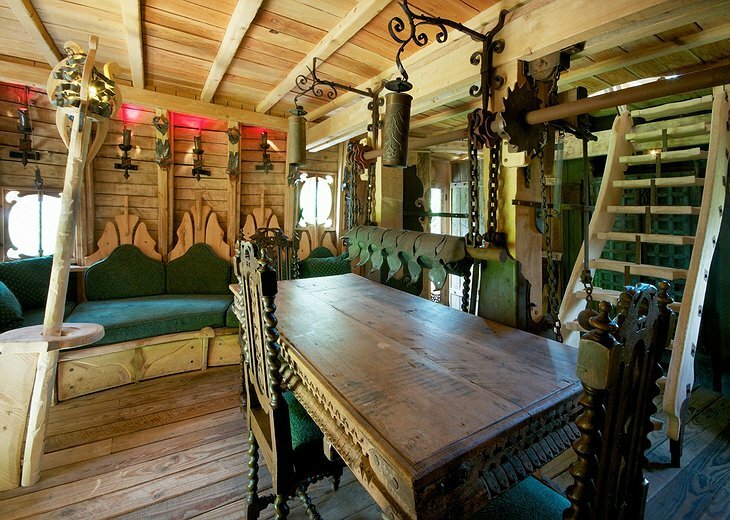 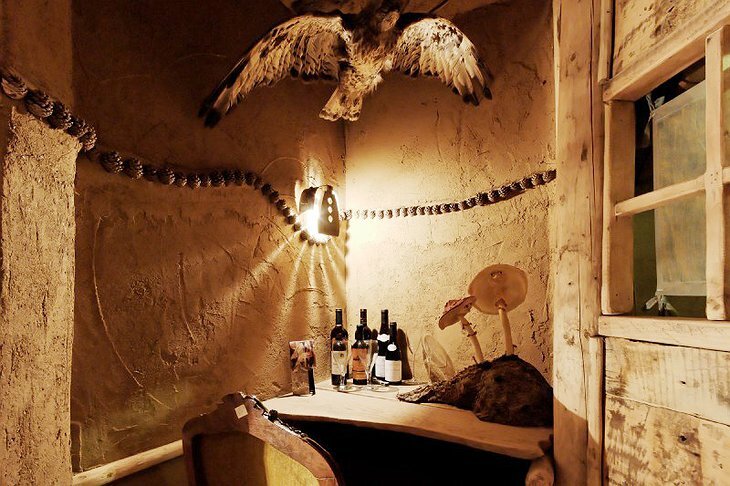 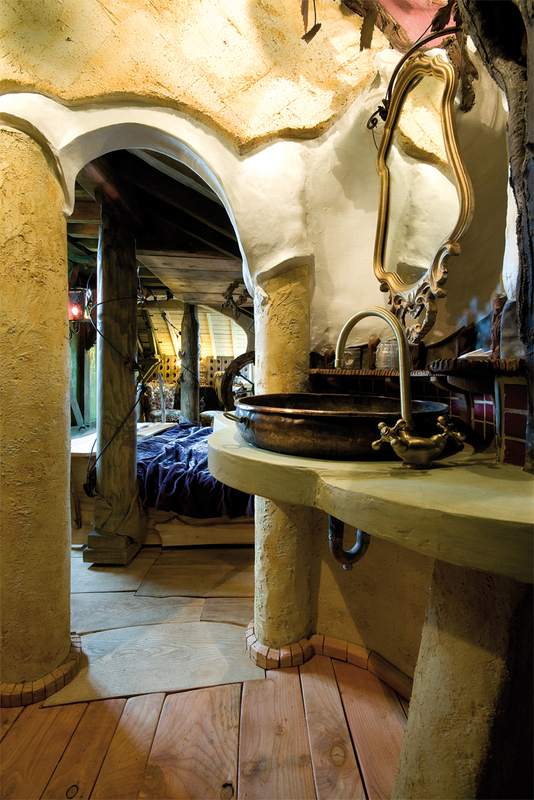 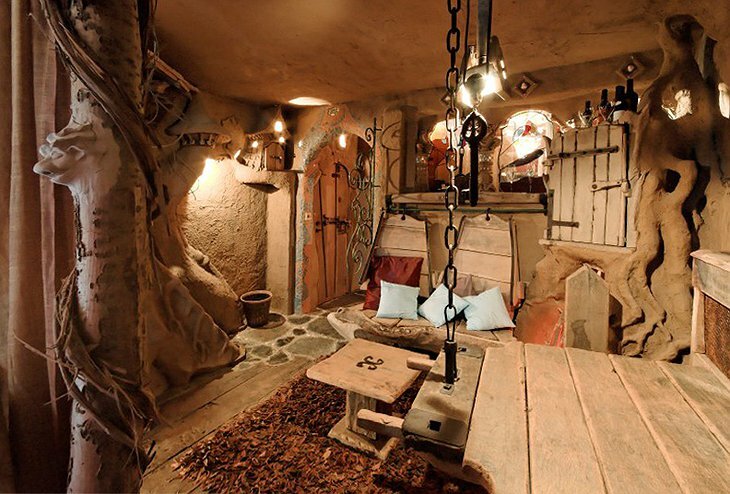 Architect, Mr Noel, built and operates La Balade des Gnomes – an unusual hotel with 10 crazy rooms guaranteed to captivate the imagination. In fact, the motto of the hotel is “all that you can imagine is real”. It is located near Durbuy in Belgium which is a tiny 17th century town with cobbled streets and lovely shops. The inspiration for each of the hotel’s rooms comes from traditional fairy tales. 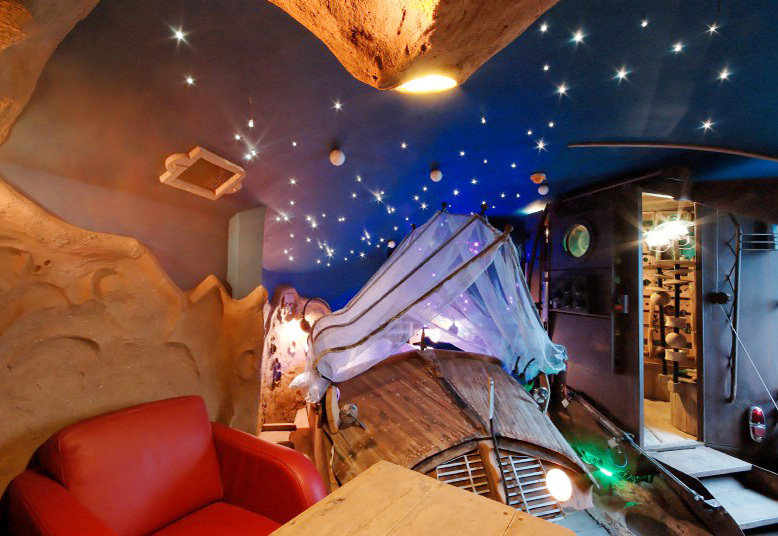 In fact “La Balade des Gnomes” translates as “the walk of the Gnomes”. 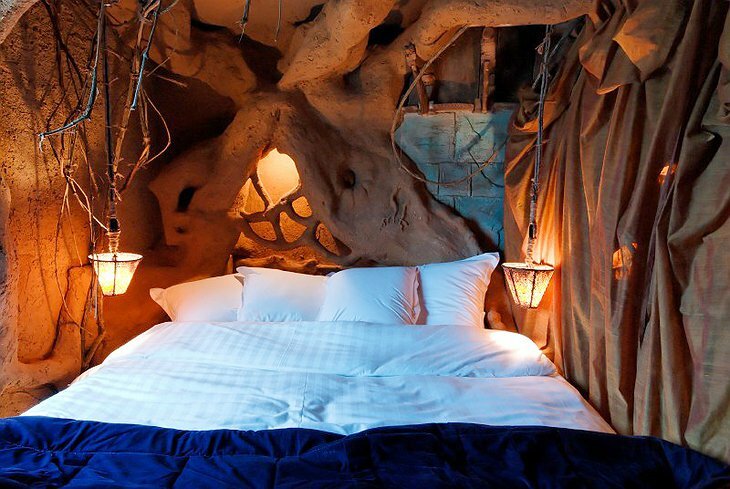 Each room leaves an impression like a good Tim Burton movie. 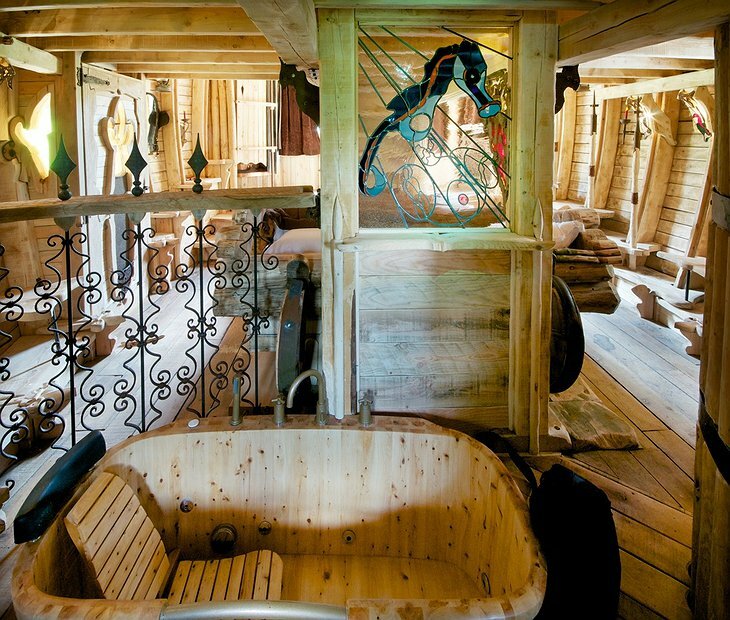 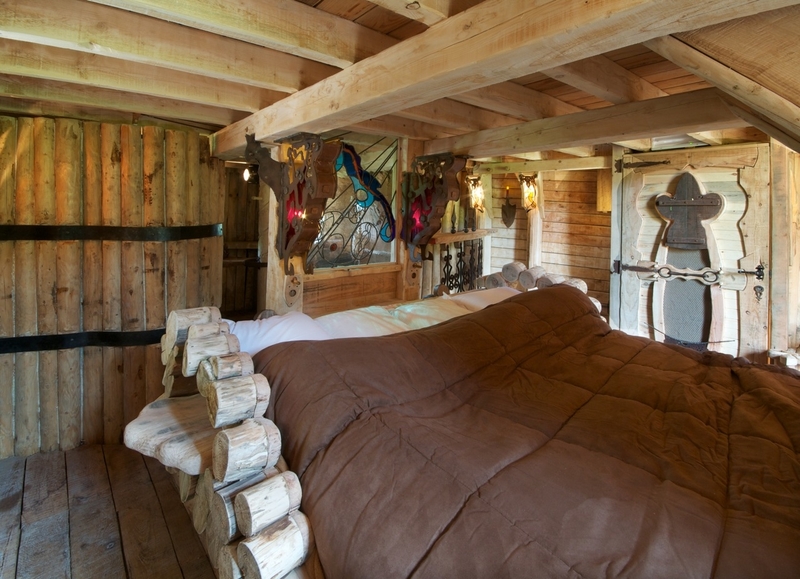 There is a Trojan horse (which isn’t technically a fairy tale, but we wont quibble semantics) where you can stay in, well, a giant wooden horse. Other rooms include the Macquarie Island room where your bed is a boat which appears to float on real water and there is a real beach with real sand in your room. 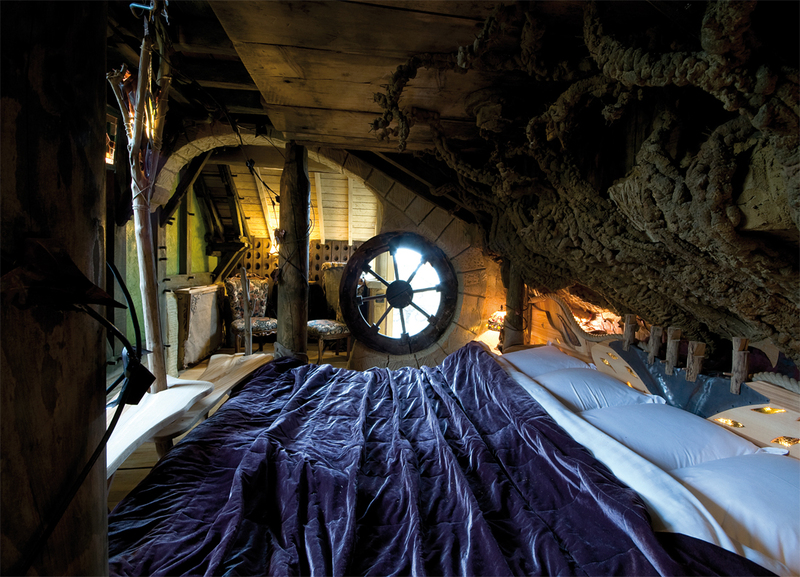 The suites are filled with wooden toadstools, starry skies (glowing on your ceiling) and crooked windows.